I know my neighbors probably judge me a bit, but I’m still celebrating the holidays. The front porch still shines with green and red, my trees are sparkling their lights through the windows and the wine is still flowing. Here’s the deal. It’s still the 12 days of Christmas. What happened to that tradition? Why do so many people strike the fun from their lives on January 2nd? Heck, some on December 26th??? In my world there are 12 days of Christmas, and by god I’m going to enjoy every single one of them. Sure, my family doesn’t exchange gifts every night as some people do, but we do consider these days and nights as special and we’re sure to celebrate them in one way or another. So last night (the 10thday of Christmas) I made some pasta and decided to pair it with a new world Pinot Noir. 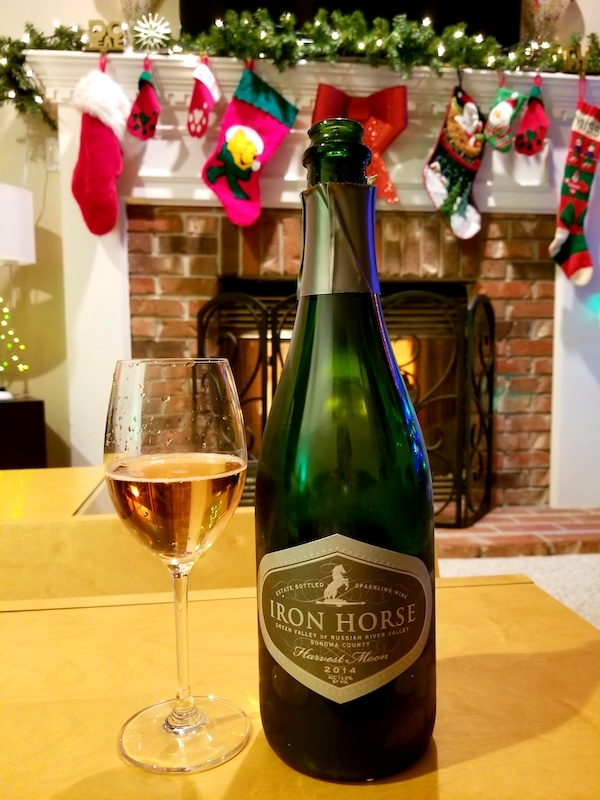 I really dig this varietal from the Central Coast of California, because although there’s a lot of fruit on these wines, there’s also some nice minerality and earthiness. 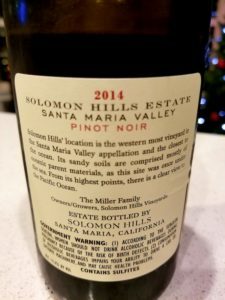 I selected a 2014 Solomon Hills from Santa Maria Valley. The Miller family (who planted the infamous Bien Nacido vineyard in the 1970s) has owned the Solomon Hills vineyard for years, selling their fruit to wineries producing some fabulous wines. 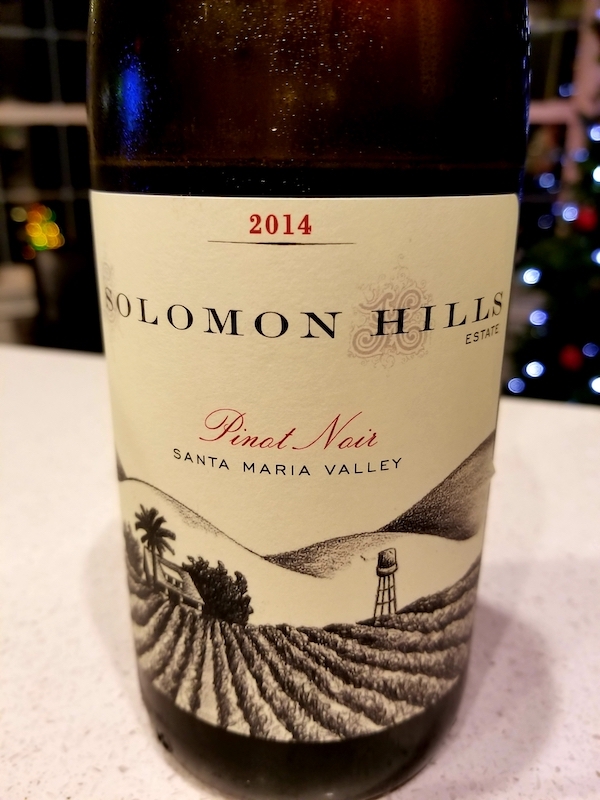 It was a natural progression for them to begin making wine with their own fruit, starting Solomon Hills Vineyards in 2008. This lovely Pinot Noir is very well balanced with fruity cherry and cranberry, a touch of cola, some sage and thyme and great acidity. 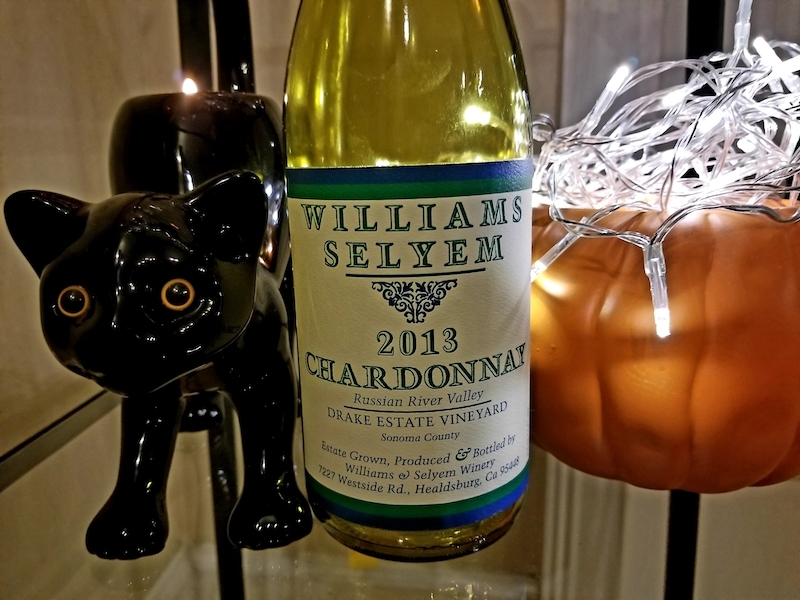 I actually wish I’d opened a bottle of this for Thanksgiving, because it would have been a perfect match for those holiday flavors. It did, however, work well with the pasta I made last night as well. 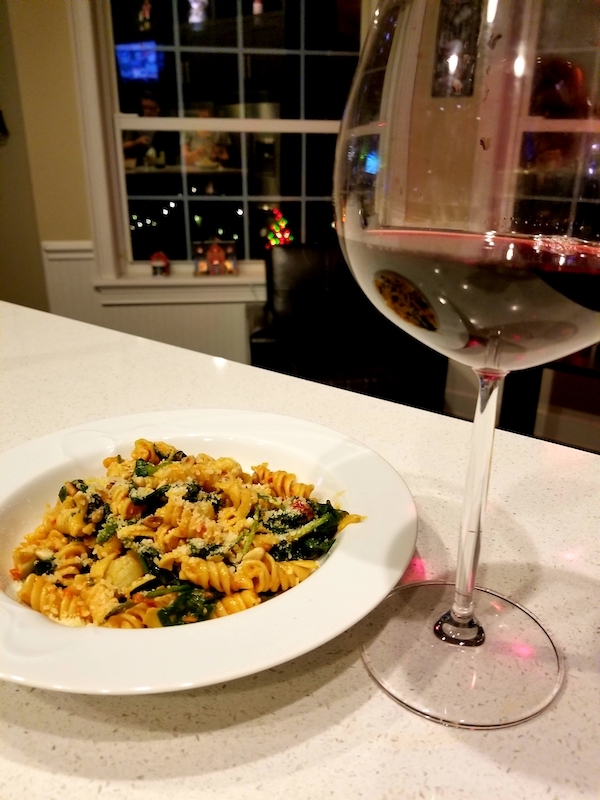 It definitely complimented the roasted red pepper and sun-dried tomato pesto that I used as a sauce! 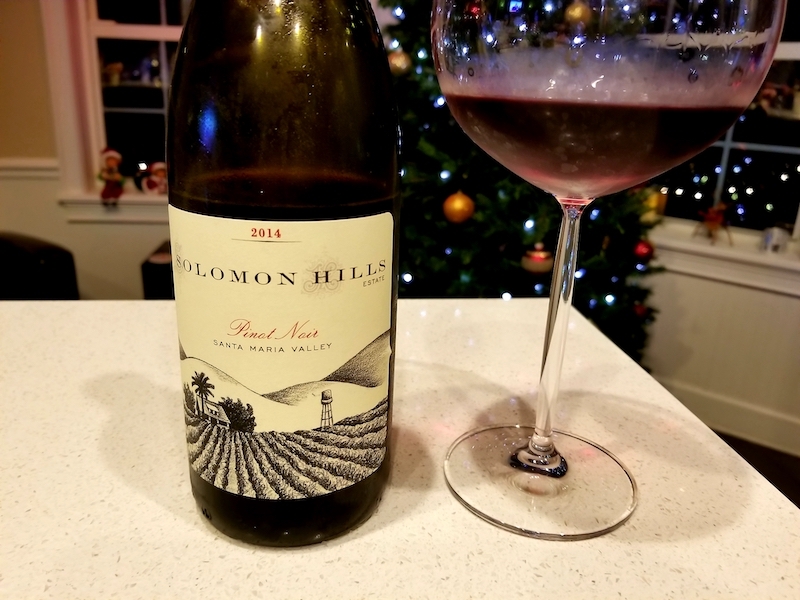 I’m going to be seeking out more of the Solomon Hills Vineyards’ Pinot Noir. Sadly, it’s only a couple of days before Christmas is truly over for this season. Tomorrow we have friends coming over for the 12thday and one final feast. On Monday I’ll sadly begin taking all of the decorations down and packing them safely away until next time. And I undoubtedly with do that with another nice bottle of something to keep my spirits up! 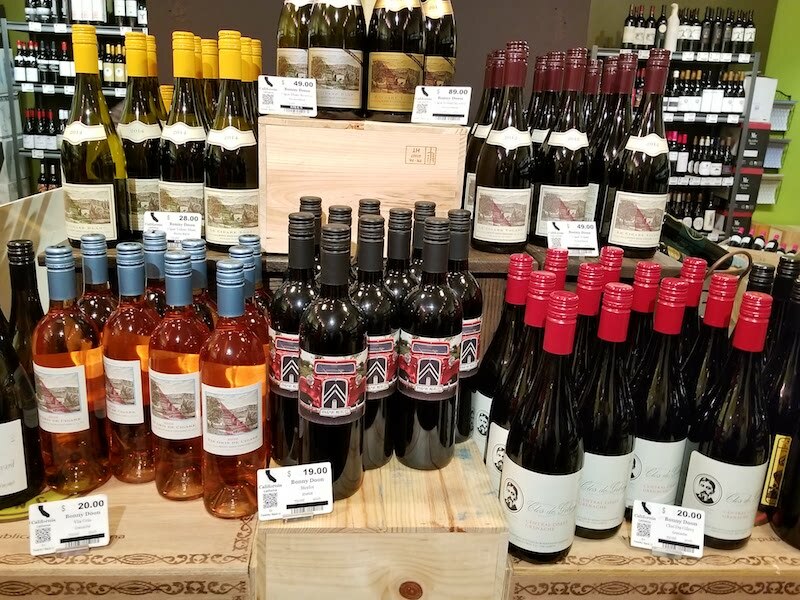 The Rhone Ranger & His Wine!